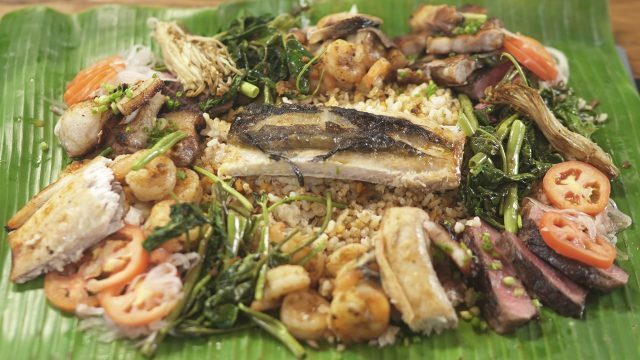 When it comes to eating meat, it’s almost an everyday thing for me and most Filipinos. Even my Argentinian brother-in-law is an avid meat eater. He loves his steak, and knows meat when he tastes it. Or does he? The thing is, we need to be a little more conscious about the food we consume. Natural resources aren’t infinite, and we should’ve been thinking about our impact on the earth decades ago. It’s never too late to start though, and lessening meat consumption even to just thrice a week is a good place to start. I’m not saying I’m a vegan or even a vegetarian, but I am trying to be more aware of how much meat I’m consuming and where it comes from. I’m also trying to incorporate more vegetables and fruits into my diet. 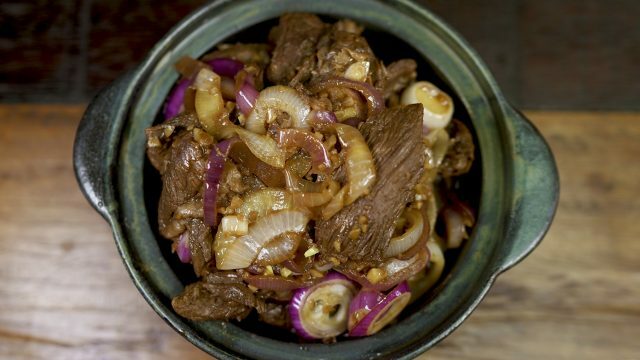 On the days I don’t want to eat meat, but am looking for that protein and savoury flavours that vegetables can’t seem to recreate, I turn to a meat substitute. Quorn was very kind to send me a variety of meat substitute products. I already have a couple of favorites from their range, but it got me wondering: can I get a meat-eater to enjoy these products WITHOUT knowing they’re meat substitutes? I bring in the biggest meat-lover I know: Nico Bolzico. He knows a good steak when he eats one, but I’m guessing that he’ll scarf down anything you put in front of him too. I decided to cook up three dishes for him that contained meat substitutes. First, I started out with a bolognese pasta with “meat”balls. 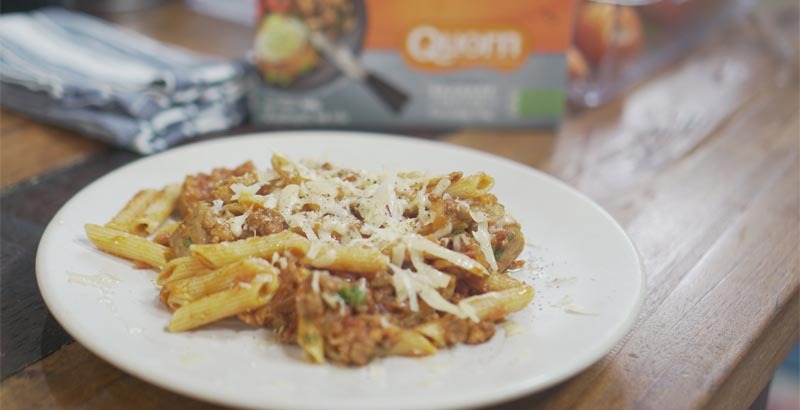 Quorn also has meat grounds that add depth and texture to this pasta dish. The key is to add lots of meaty flavour into the sauce, so Nico doesn’t suspect anything. 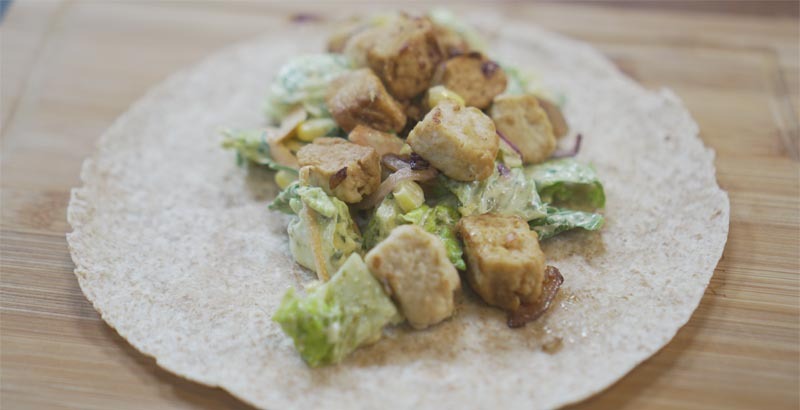 Next I try out the Quorn chicken nuggets, and give Nico a chicken wrap made with the substitute meat! We always order chicken wraps from this healthy take-out restaurant, so Nico had no clue that he was actually eating Quorn chicken. Finally, I made Nico try the Quorn sausage patties. I love this product and think this is the closest to the real thing. 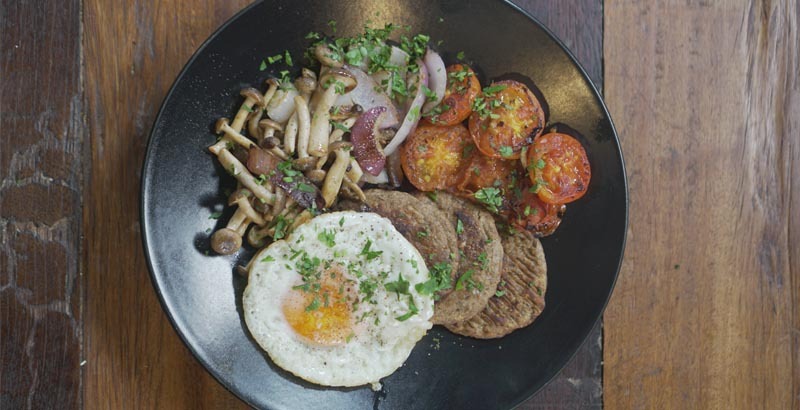 I made him a full breakfast with eggs and mushrooms on the side of these patties. Still no idea! He even thought it was a prank to get back at him after he fed me and Solenn SOAP with olive oil! Want to find out what happens? 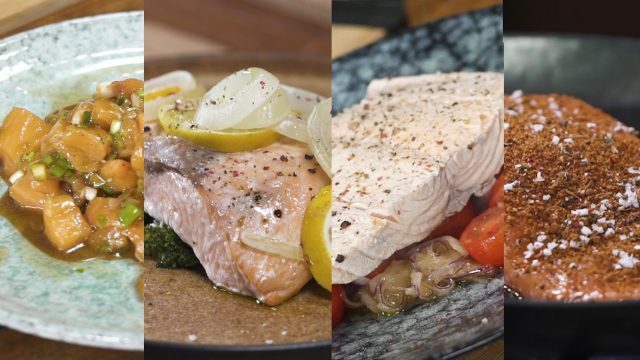 Watch the video below too see Nico’s reactions and to get the whole recipes! In conclusion: Quorn actually tastes really good (I particularly like the nuggets and “sausage patties”) and is a good source of low fat protein with moderate carbs. Just make sure to add it to a diet filled with lots of good-for-you fruits, vegetables, and complex carbs. 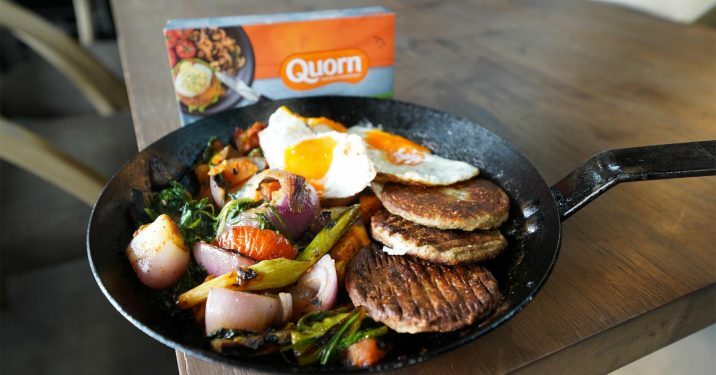 If you’re afraid of going meatless, I highly suggest trying a meat substitute like Quorn. It will help curb cravings but still provide the protein you need. Let me know your thoughts in the comments: can you go fully meatless, or will meat substitutes do the trick?